Sheridan Morais, the South African who made such an impact on the Brands August BSB triple heading, riding for Paul Bird’s Kawasaki team, has signed to race an Aprilia RSV4 in the South African superbike series. 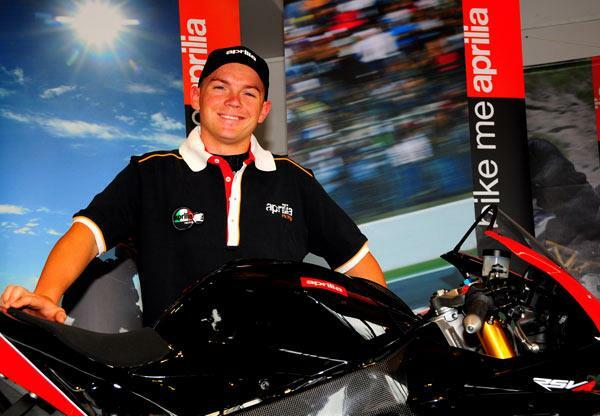 Having won the 2008 South African Superbike championship on a Kawasaki, and then claimed both the Superbike and 600cc Supersport national titles for the same manufacturer in 2009, Morais and the EmTek Racing team headed by his father, Ricky, are moving to Aprilia for 2010. Morais said: “It’s a beautiful bike, and it feels like a 125 to sit on. "In World Superbike and Superstock racing the guys are right there, so it’s definitely a contender and I can’t wait to ride it. Although Morais will be the first South African to race an Aprilia RSV4 in the domestic competition, ex South African champ Arushen Moodley won the first race in the United Arab Emirates national championships at the Dubai Autodrome in October. “We arrived with the bike straight out of the showroom and were fastest in all the practice sessions,” says Moodley. Arushen’s teammate, Abdul Aziz Bin Laden came second.